According to what i have through lately which ALMOST a week full of duty in school. occupied by something which was really rough and stressful, i decided to have a one day break and not give a sh*t about school at least for a day. hmm... surfing and seeking the new trend fashion items nowadays might be the best plan to do, so here i ended up with a pieces of margiela's which is really MAGNIFICENT!!! I always kinda believe that do not ever underestimate the power of good outfits in the bad day, and based on my research from mrporter.com, i have gotten some of my new other wish list to buy for the next summer style deets. so guys what do you think? This tee has a very "esquisite" details. the two toned colors black and khaki is always good to wear in any seasons. 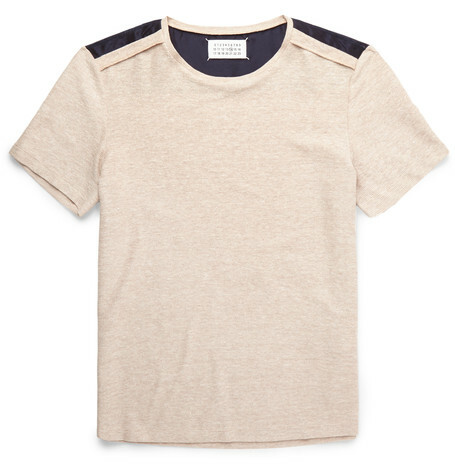 In summer, you can match this with a black shorts or earthy colors long troussers and also khaki/brown-ish loafer shoes. When it comes to winter, just pair this with a jeans and wear your black coat/jacket as well to keep you warm. belt is one of the most essential accecories that every men should have. black and brown leather strap are the best choice for looking classy and timeless. Thing that we must concern is the buckle, either big or medium, silver or gold. many people these days are prefer to wear buckle that has a big logo from its brand. 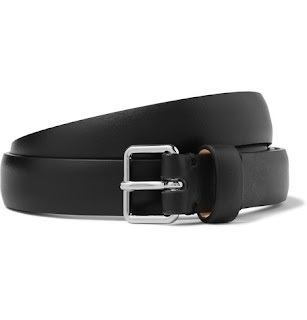 but this margiela's belt is classy, simple yet glamour. I always adore the classic look of blue denim. 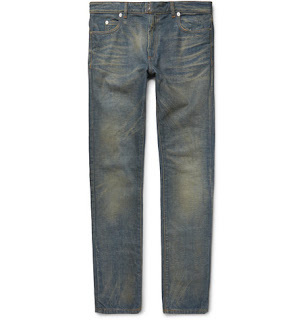 margiela's designer has a simple design in each item, so does with this jeans. the classic look is really brought me to 70's where denim was very popular at that era. Who says men don't need a bag. Bags can be a good accesory for men to run our daily activities. Moreover it helps us to carry plenty stuffs that we often to carry all day. 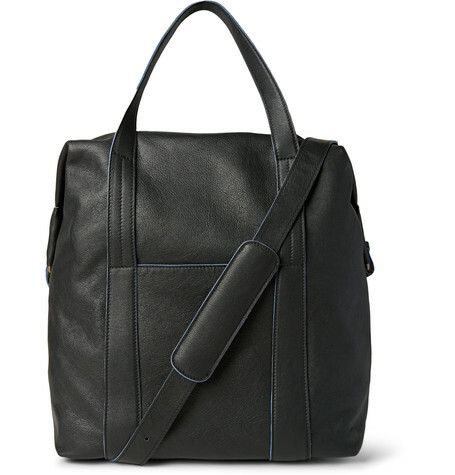 This black leather margiela bag can be a good one on your list matter fact that the design is really classy and timeless. It comes with shoulder strap too that will ease your day to carry by your hand. This probably can be my favourite accesories ever. I always kinda look out for a new kicks everyday. good pair of shoes are always bring you to a good place. 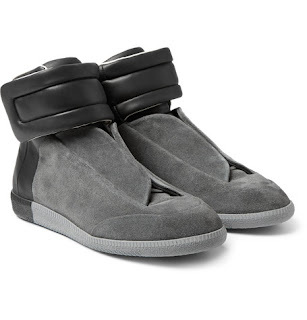 margiela ankle boots is my currently favourite, it's super dope. Made from grey suede leather and black calf skin leather, this shoes never gone wrong at any chances. Shopping for shades are always the fun thing. 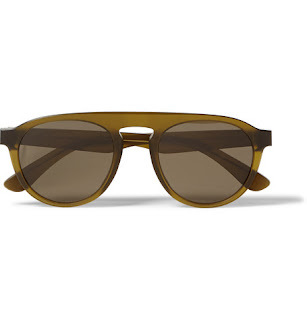 One thing that you must concern buying shades is knowing your faceshape. By knowing your faceshape, you shall know which model of shades that fit on you and which one is not. This shades by margiela is one of the collaboration item with another major fashion company. you must check the latest collection of maison martin margiela. FYI : These all are from maison martin margiela collection and some of them are collaboration designs. these all product are sourch from mrporter.com. - Lazz.